To say I was gutted when I read the news that Girls has split up would be an understatement. They had become one of my very favourite bands but I’d never managed to see them live for one reason or another. The only thing that made it more palatable was the promise of solo material from former frontman and band leader, Christopher Owens. 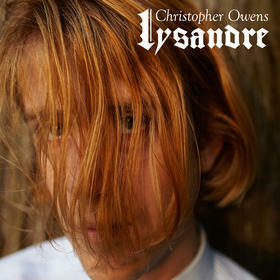 'Here We Go' is the first taster of Owens’ forthcoming album 'Lysandre' which he has described as “coming of age story, a road trip story, a love story”. The album was written in between Girls’ two full-length albums, providing further evidence of the prolific nature of Owens’ songwriting. Importantly, there is not a drop in quality with the tracks having a pastoral, medieval feel as a result of the inclusion of the flute into his sound. It seems Owens is going to take a more traditional singer/songwriter approach a la Cat Stevens or Bob Dylan with his next record and it suits him well. Find more info on the new record and Christopher's tour dates at christopherowensonline.com.